It is hard to find the perfect makeup products for dusky to deeper range of skin tone. However, we always can find the best shades from high end brands. e.g. M.A.C, Sephora, IMAN, Dior and many more. 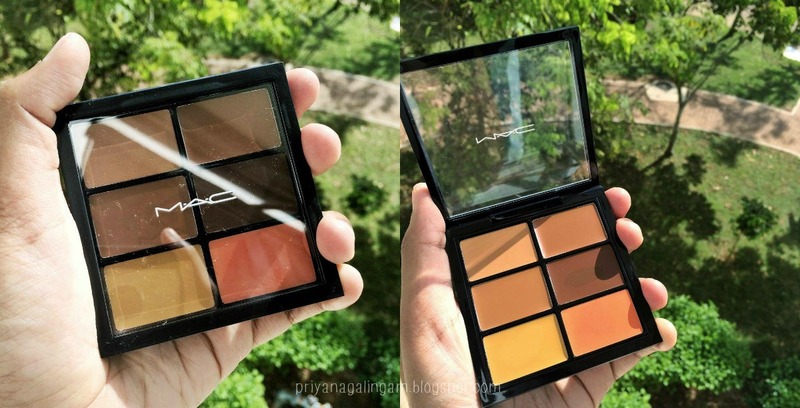 Today, I as a dusky skinned coloured girl would to share my best makeup products from M.A.C. Although M.A.C isn't cruelty friendly but they make some good makeup products and many people are using it giving good review about it. I'm using M.A.C Studio Lightweight Foundation in shade of NC 45 because it doesn't feel that you wearing too much of makeup on your face. 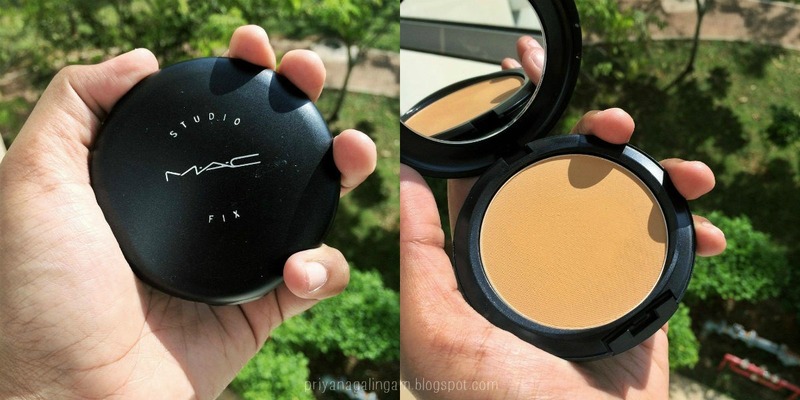 This foundation is best for newbies who using foundation for the first time. 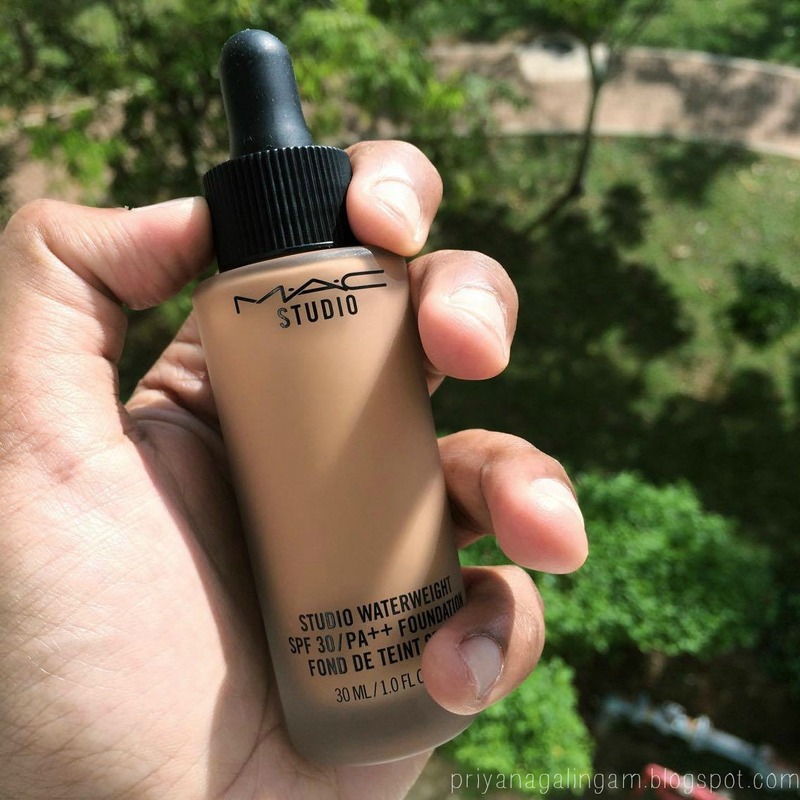 This foundation gives sheer to medium coverage which is good for girls who having sort of good skin where you don't need too much of coverage. It doesn't clog the pores and it has no any weird fragrance to it. Although it has SPF 30++ it doesn't really show up any white cast on flash photography. Next, for dusky skin tone girls we have trouble with under eyes dark circle and hyper pigmentation around the nose and mouth. You can use the orange colour in the palette to colour correct where it cancels out the blues tone underneath the skin to make it brighter and top it off with the concealer colour which is the same shades as your foundation (NC45) to give the flawless natural face . Make sure to pick up the powder 2 to 1 shades lighter (NC 43) than your foundation shades just because the powder tend to oxidised. Trust me it will look just nice without looking cakey but natural. This is optional product, if you want your makeup to last longer through out the day, try this spray it will ensure to lock and smoothen out your makeup and look flawless. 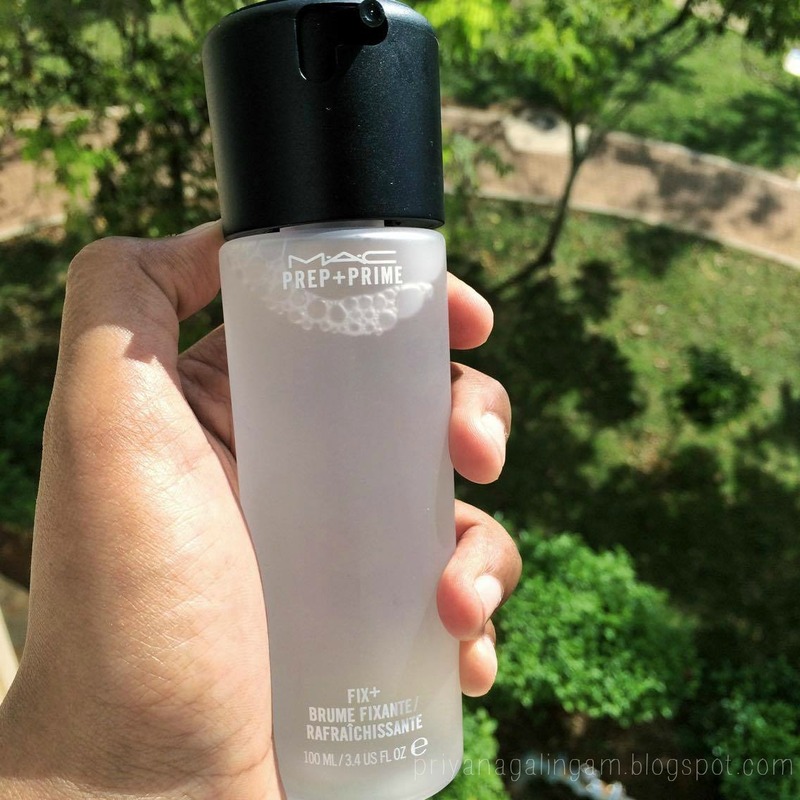 This is the spray that makes your eyeshadow colour to look bolder and your face look natural without looking cakey as if you wearing too much of makeup although you did. Thanks for reading this post, hope this post helped you. Make sure you follow this blog for more helpful blog post about indian skin makeup and many more.